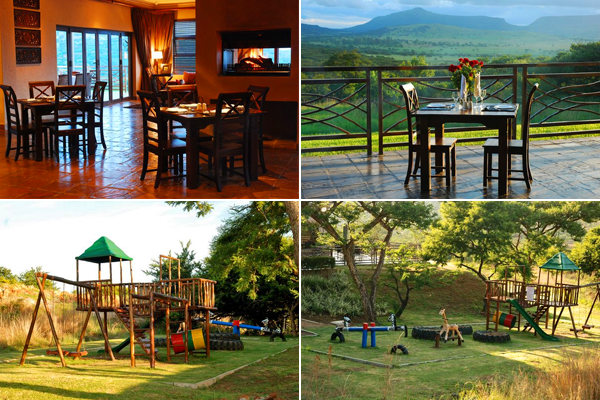 Come experience spectacular views in a majestic safari wilderness in the luxury that Ingudlane Lodge has to offer. Ingudlane Lodge is situated on a 1900 hectare reserve in Northern Kwa-Zulu Natal just 2 km outside Dundee, on the Battlefields Route. 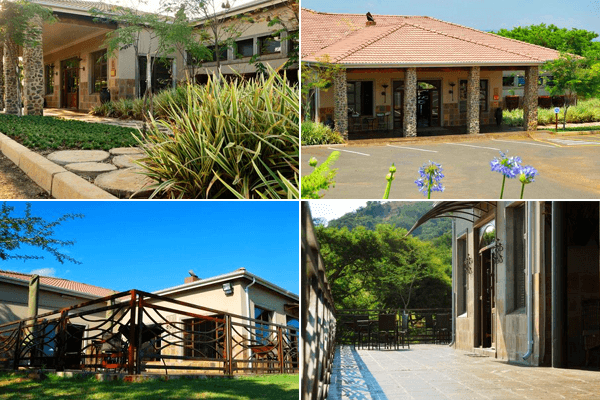 Situated in the heart of the Battlefields in Northern Kwa-Zulu Natal, Ingudlane Lodge offers a luxurious experience of the African wild. 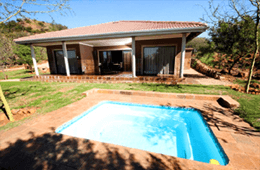 Modern, exquisitely decorated private and secluded self-catering chalets lie nestled in the reserve. The chalets offer two bedrooms with en-suite bathrooms and an open plan living area. Wake up with the wildlife on your doorstep to give you the true taste of Africa. We invite you to soak up the warm sun on your own private verandah or join us at the Main Lodge for a delicious meal or sundowners. Our Luxurious rooms have twin or double beds, with en-suite bathrooms. 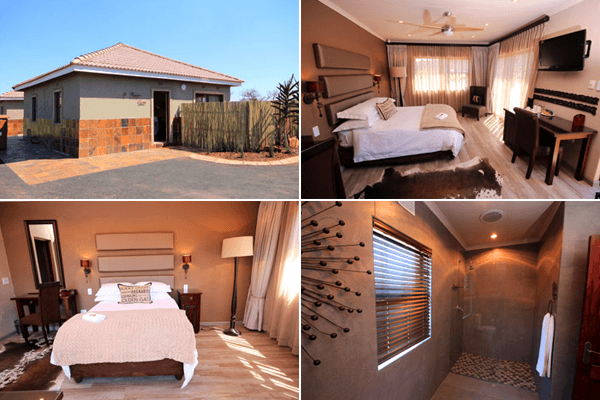 The rooms are situated within walking distance from the Main Lodge. Meals can be enjoyed in the restaurant at the Main Lodge whils sitting in our main resturant area , or outside on our patios. 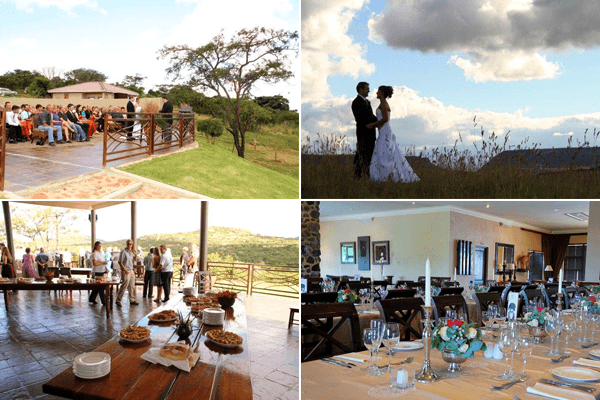 Ingudlane Lodge offers a magnificent Venue for your ultimate Bush Wedding. Your wedding is a once in a life time experience and the venue along with the beautiful surroundings are sure to create an unforgettable occasion. Wedding ceremonies have taken place at numerous settings on the reserve, with a stunning reception at the main lodge. Wedding Packages include the venue hire, the tables and chairs in the hall, the crockery and cutlery as well as Staffing for the function. Menus are planned around the guest’s choice of favorite dishes. The catering costs are then worked out accordingly. Choosing a conference venue in todays highly stressed market can be exceptionally difficult. 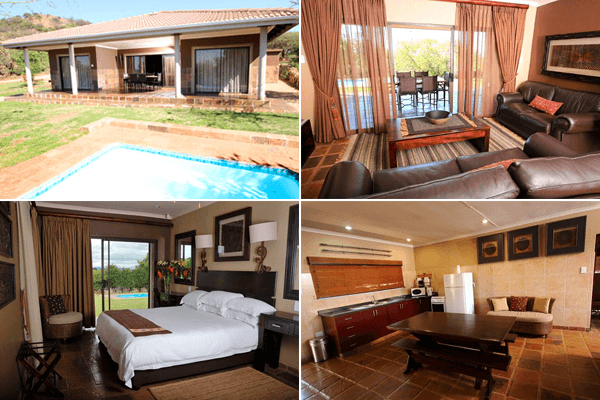 Ingudlane Lodge, with its relaxed atmosphere, panoramic views, and tranquil setting offers modern conference facilities for up to 80 people. Offering a safe and secure environment, the lodge is able to cater to the needs of both High profile delegates as well as Businessmen and friends alike. 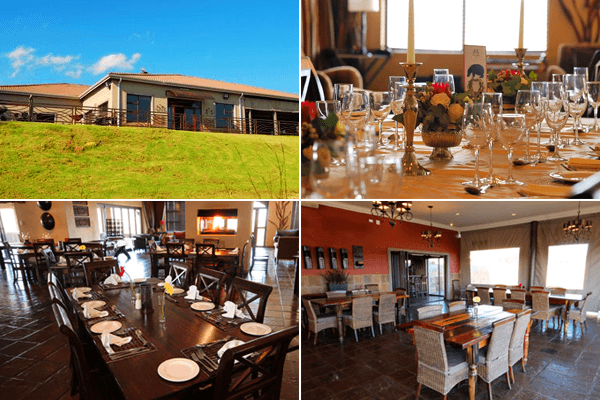 Specialized Company functions, product launches and year end functions are popular at Ingudlane Lodge. Our Team also does smaller, more intimate functions like birthdays, family reunions and general get togethers.Feel free to contact us to enquire about our pricing. The Lodge Restaurant is open 7 days a week. Kitchen times: 10h00-21h00 Mondays to Saturdays & 10h00-16h00 on Sundays. 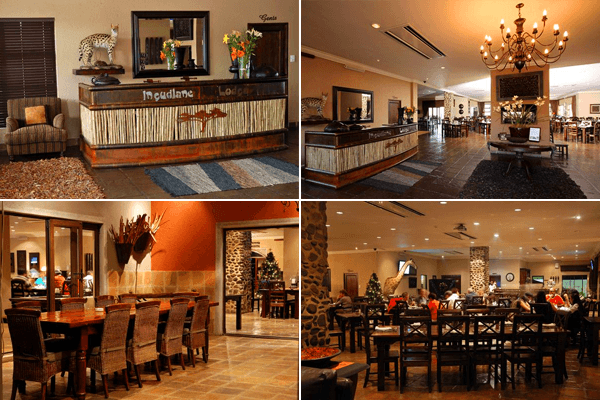 An Ala-Carte menu is available as well as bar area, lounge, TVs , Veranda, Kiddies Play area, and Boma Fires. 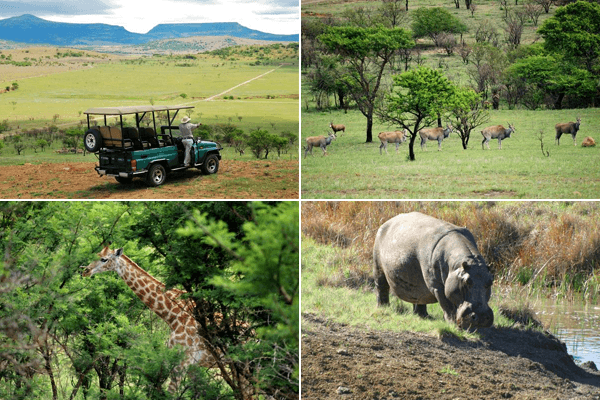 Guided Game Viewing drives which includes refreshments (+/- 2 Hours) please contact reservations for prices. Ingudlane lodge also offers a laundry service at a minimal fee.